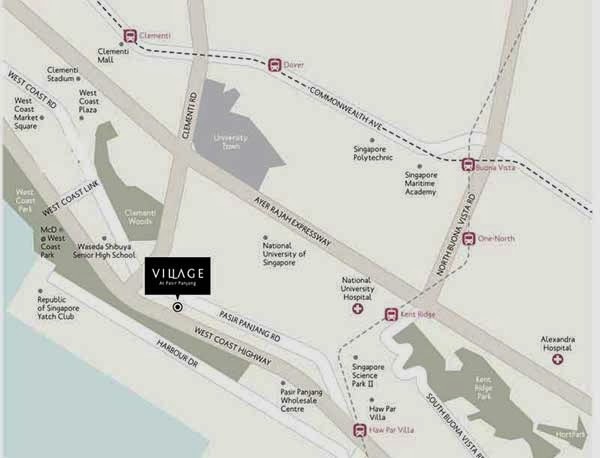 Village @ Pasir Panjang is a newly built property development by Champsworth Development Pte Ltd. It is securely located at Pasir Panjang, Singapore District 05. A state-of-the-art condominium property, it offers exclusive dwelling in the midst of the city creating an intimate ambiance for its residents. Village @ Pasir Panjang is an ideal place for the family to settle. The landscape presents the natural scene of the countryside enfolded in a modern setting. This luxurious community is at close proximity to prominent schools such as the National University of Singapore, Singapore University of Technology and Design, United World College of South East Asia and a lot more. Modern shopping centres are also located nearby to provide you with a hassle-free shopping spree such as the known West Coast Plaza, The Clemente Mall and the Clementi Shopping Centre. If you wish to surprise your family with your delicious meals, you can shop at the Cold Storage, Market Place, and NTUC Fairprice for your cooking needs.